Monitor, communicate, and engage with your stakeholders, whoever they are. 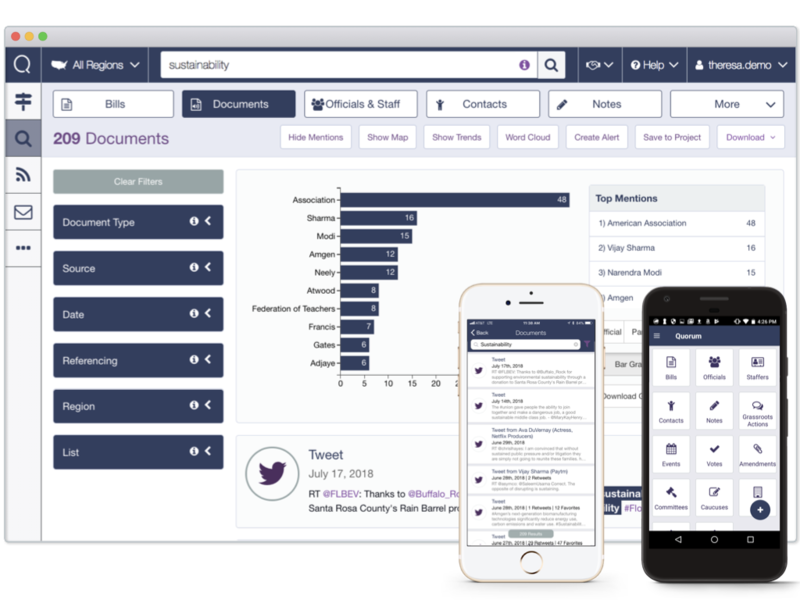 Whether your stakeholders are elected officials, reporters, academics, influencers, or anyone in between, Quorum enables you to listen to what they are saying. Monitor Twitter, Facebook, Instagram, YouTube, and more to ensure that you never miss a mention of your organization or the issues you care about. 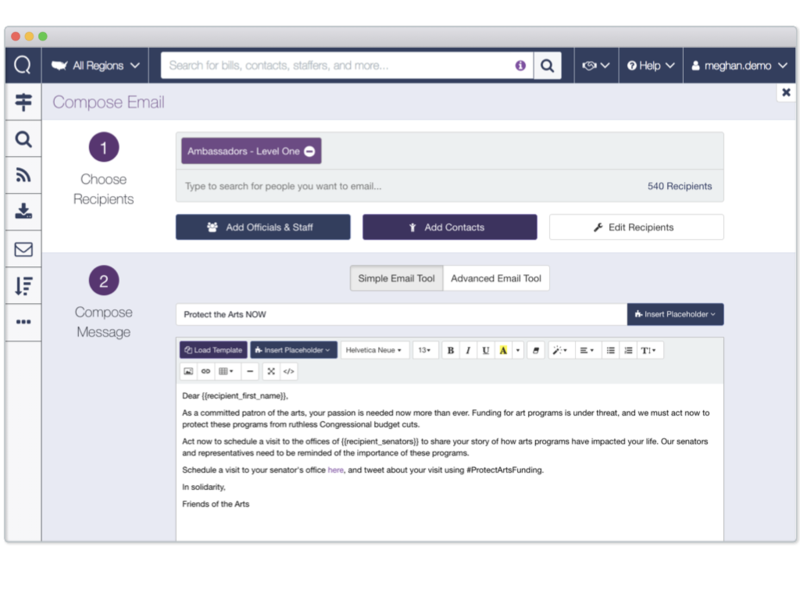 Keep your stakeholders up-to-date on the work your organization is doing by sending personalized emails through Quorum Outbox. Send beautifully designed emails without ever editing a line of HTML, or send plain-text emails with custom placeholders to add a personal touch. 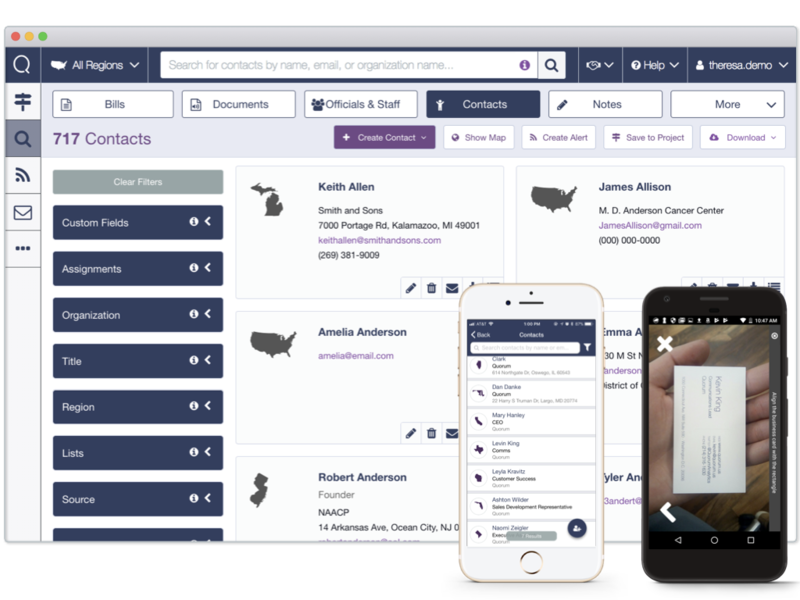 Quorum provides a collaborative database to store contact information and track meetings with each of your stakeholders. Easily access the information on-the-go with Quorum’s mobile app and use the integrated business card scanner to seamlessly upload into Quorum.